When Uroš Mijalković, a top-35 global karate contender in the category of up to 185 pounds, is not busy training for the next Olympic Games as a member of the national karate team, he – with his team of seven – is busy expanding his global company that got off the ground with his mobile karate gaming application developed at the ICT Hub. His inspiration was his passion for karate that he started practicing at the age of 6. Serbia’s population is shrinking. Over the past 25 years, the small Balkan nation has lost a steady stream of talented young people to emigration—including a record 58,000 people in 2015 alone, 9,000 of whom left with advanced degrees. It is hard to find a Serbian whose family hasn’t been affected by the emigration wave. My own family is no different—two of my siblings left Serbia in their early thirties and have no intention of coming back. The main driver pushing people to leave is the lack of employment opportunities. The situation is especially difficult for young people between the ages 15 and 30, who have grappled with a 44 percent average unemployment rate over the last eight years. Earlier this year, the Serbian Chamber of Commerce launched a Committee for Youth Entrepreneurship to help curb this trend. Among the members of the committee is Belgrade’s ICT Hub, which is working hard to increase opportunities for Serbia’s homegrown talent to shine in Serbia. ICT Hub was launched as part of a public private partnership with USAID in 2014 as a one-of-a-kind incubator for Serbia’s technology entrepreneurs. By providing a robust entrepreneurial infrastructure and mentoring, the Hub lowers both the risks and the costs entrepreneurs incur through bringing innovative ideas to life. 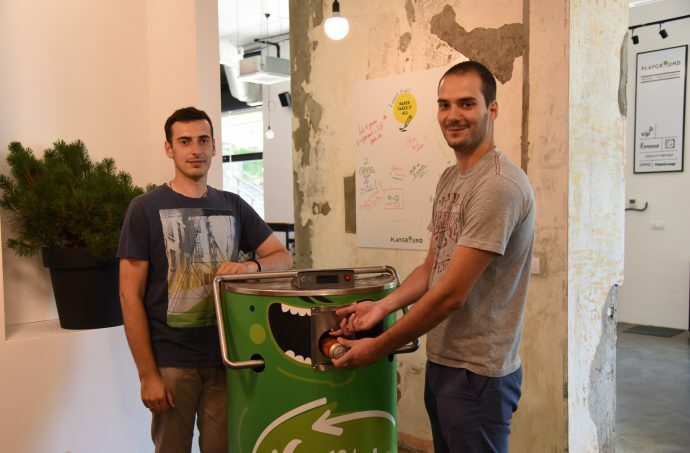 “Many of my friends left Serbia, but I believe one can succeed here just as anywhere else,” said Uroš Mijalković, the director of the startup Miracle Dojo. Mijalković invented the first authentic karate mobile gaming application, Karate DO, with top karate athletes as characters. “I joined the ICT Hub with only an idea. Now my gaming application is being played by around 12,000 people in 162 countries. We already have a loyal fan base and the growth potential is great—100 million people worldwide are practicing karate. Plus, the gaming industry is generating greater profits than the film industry and mobile gaming is in the lead,” said Mijalković. Mijalković joined the ICT Hub in early 2016 as a result of cooperation between the Serbian Ministry of Youth and Sports and the ICT Hub. Namely, to increase youth employment and help young people from various faculties start IT entrepreneurship initiatives, the ministry provides fees for Hub services while the Hub provides students with a tailor-made program and coaching assistance. Proof of this is Vuk Nikolić. Inspired by his mom’s trucking company and a passion for programming, he created Truck Track, a software-as-a-service platform for managing a trucking company’s daily operations. Seedcamp and Passion Capital, two London-based investors, invested in his business early on. 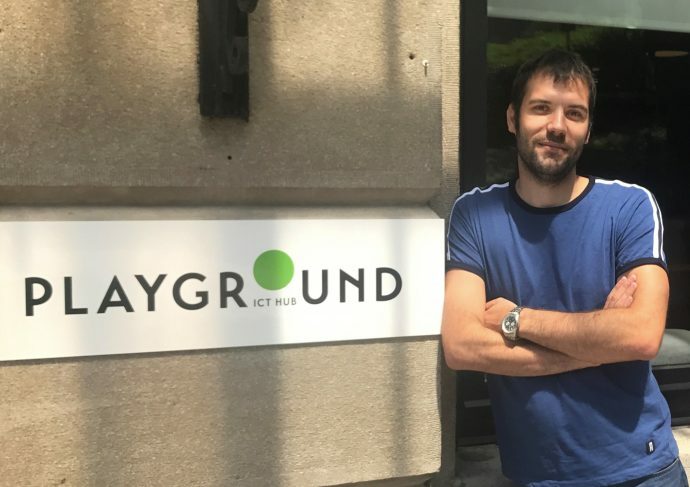 With an eye on the U.S. market, the real turning point came in 2015 when he joined the ICT Hub and soon after became the first Serbian start-up to receive funding from 500 Startups, a famous accelerator from Silicon Valley. Vuk Nikolić had a passion for programming since the age of 6 and grew up watching his mom manage her trucking company. He knew of all the challenges she faced and was eager to help her. He worked tirelessly to develop software for managing a trucking company’s daily operations. It turned out that he not only helped his mom, but is now conquering the large U.S. trucking industry with ‘Truck Track’, after having received investments from several global tech investors who recognized his business’s potential. “The time we spent in San Francisco was mind-boggling and made us realize what we needed to change in our approach to succeed in the U.S. market. Now we focus on the U.S. market only and the prospects are promising,” said Nikolić. Truck Truck already has over 500 U.S. clients. 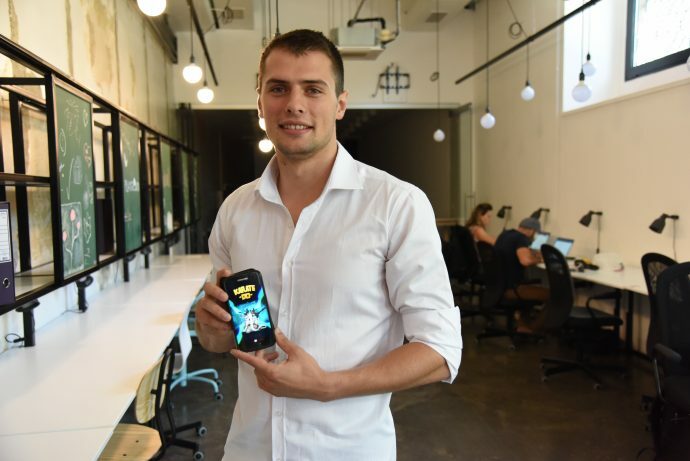 Many other aspiring startups haven’t been as lucky as Nikolić’s and often struggle to access the financial resources they need to get their businesses off the ground or fully utilize their growth potential. Traditional banking dominates in Serbia, but the terms and required collateral can be insurmountable obstacles for small- and medium-sized enterprises (SMEs). To help overcome this hurdle and create even more new businesses, in January 2017 the ICT Hub launched its private investment fund and venture capital arm, ICT Hub Venture. “During the coming two to three years the fund will invest up to $35,000 into 20 to 30 early stage startups each for a 5 to 15 percent stake in their capital,” said Andrić, managing director of the fund. To create the right environment for even greater innovations, the ICT Hub recently moved into new premises in downtown Belgrade, dubbed the ICT Hub Playground—a true innovation center for up-and-coming young people interested in venturing into the world of tech entrepreneurship. From all the talented, hard-working and enthusiastic young people I’ve met at the ICT Hub, none are planning to leave Serbia. I suspect most young people would rather stay close to home than wander into an uncertain future in faraway lands. The proof is at the ICT Hub. Here young people with ideas are given opportunity, encouragement and support. And, in turn, they show they can thrive in Serbia just as well as anywhere else. Mirjana Vukša Zavišić is a Development and Outreach and Communications Assistant at USAID’s mission in Serbia.